Paignton leading garage door company for over 20 years installing, suppliers and maintenance of all types of garage door. Call 01626 259425 now. With over 20 years experience, A & A Garage Doors have been supplying, installing and repairing garage doors for 1000's of Paignton and Devon customers. As the garage door manufacturers have improved their garage door designs, styles, colours, materials and opening mechanisms, selecting the right garage door for your Paignton home or business can be difficult, which is why now more than ever you need expert and honest advice for a local garage door supplier. Choosing the correct door type that is suitable for your garage space is just as important as selecting the right design. 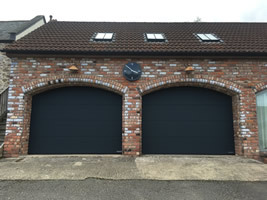 A&A Garage Doors provide a professional and prompt service in Paignton and surrounding areas, we are fortune to be able to offer you the most important and well recognised garage door brands to your Paignton Property. Our friendly and expert team have helped 1000's make the right choice when choosing from 10,000's of garage doors available. To arrange a free site survey and discuss your garage door choices please call Paignton 01626 259425. 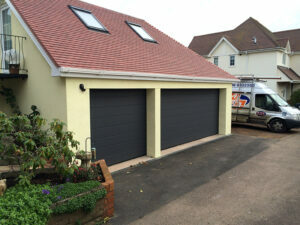 Looking for Garage Door Installers in Paignton? With nearly all the garage doors A & A Garage Doors Ltd have supplied to homes and business in Paignton, 99% of our customers have chosen our expert team to have your new garage door fitted. This ensures you get the best possible garage door installation, validates the manufacture warranty along with our superb after sales support. With such a wide range of garage door suppliers available, we see our expertise in guiding you though the massive range of garage door manufacturers and garage door styles. Of course all garage door companies offer a white panel up and over door in a range of sizes, but in our experience the size of frame, style of your home and garage door opening choices will mean we can help you make the right choice for your Paignton Home or Business. How much does is cost to replace my garage door in Paignton? Of course all garage doors come at a price for supplying the garage door and typically in Paignton as a local garage door replacement company we aim to help install the garage door too. Prices of garage doors vary greatly from as little as £199 for a simple door and then more for complex door styles and garage door operating opening systems. Installing a new robust frame to hold the door may also need to be considered as part of your garage door costings. 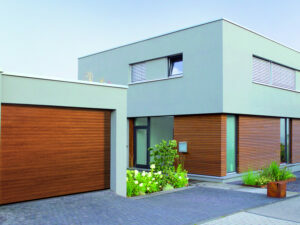 What Garage Door Types would be best for your Paignton home or business? Call Paignton 01626 259425 to find out more about online garage doors for sale.